This major world's fair ran from 14th April to 12th November 1900. It spanned the Seine and covered a quarter of the city of Paris. It was also the location of the second Olympic Games of the modern age. There were multiple Cinderellas produced, perhaps, the best known being The National Pavilions series. This series, in itself, was complex. 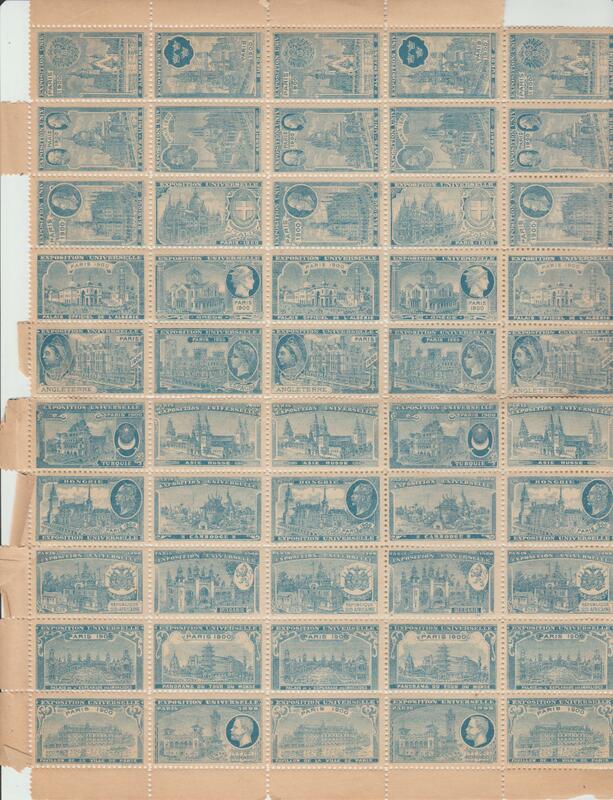 There were 40 designs plus 7 major variations, making a total of 47 stamps to collect. However, they were produced over 6 large sheets and in multiple colours. In order to make any kind of sense of these issues, you really do need to have Charles Kiddles' catalogue. Making a total of 47 designs. No complete sheets are known to exist. These were printed by Emission Baguet. 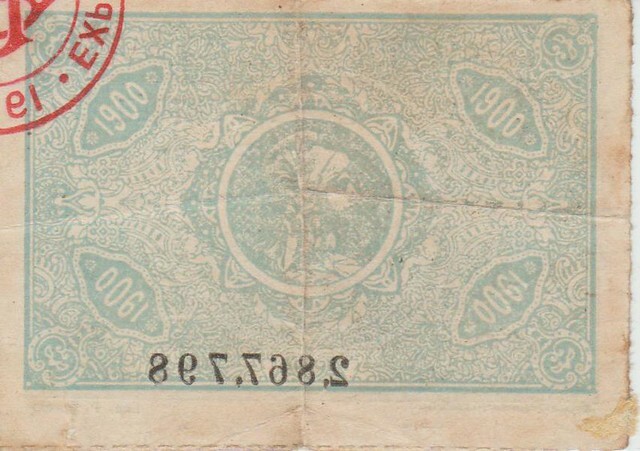 Other, similar stamps, were produced by other printers! You can see, therefore, how difficult it can be just to make up a complete set without even taking into account the different colours. This picture show the size of the entrance ticket to scale and give examples of the variants that I have mentioned. In the first pair of stamps for Sweden, the image of King Oscar is replaced by an image of 3 crowns. 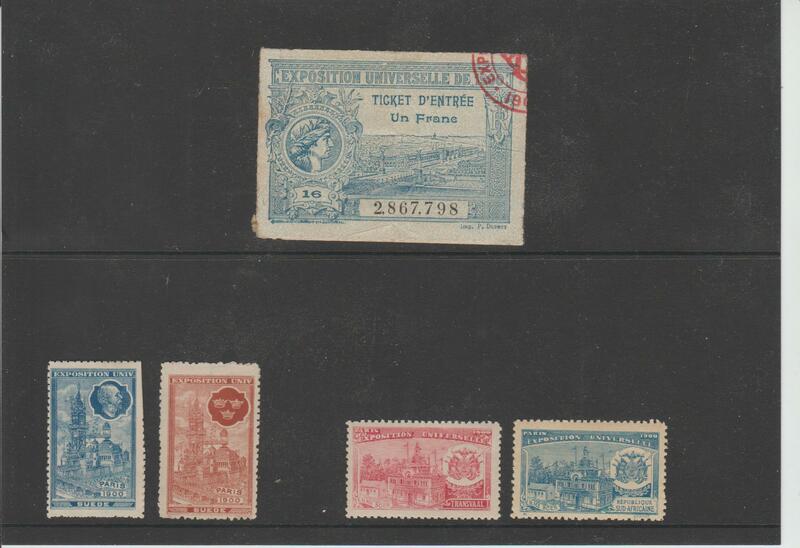 For the second pair of stamps, the same design is used for Transvaal and South Africa. I've, just this minute, noticed another variant not listed in the catalogue but apparent if you look for it. 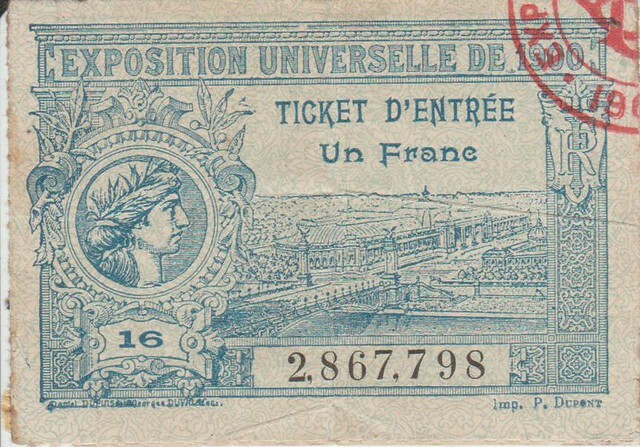 The Camdodia Pavilion stamp from sheet 1 has scrolling left and right around the words 'Exposition Universelle'. The sheet 3 version doesn't have this scrolling. This brings the total number of stamps to 48!